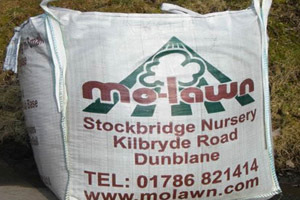 We also sell a screened soil which has been through a screener and this removes any stones and other material of 20mm and above leaves the soil ideal for spreading in vegetable beds or sowing grass seed onto. When working out your quantity you require, one cubic mtr of top soil will weigh around 2 tons. We advise that if you order soil that you cover over or use it within two weeks of delivery as it tends to compact and you end up with a large block!